You will appreciate all the wonderful partnerships we’ve created for you throughout the area as you plan your stay at Jack Daniels Motor Inn. Be sure to see if our relationships with favorite local businesses, events and activities can offer you a fuller experience or a discount opportunity. And don’t stop there – if our staff can help to arrange a unique aspect for your stay, please let us know. Call us for more information or Book Online. Feast on a beautifully prepared picnic dinner in the lovely picnic grove at the Peterborough Players Playhouse before you sit back to take in the professional theatrical production of your choice. Enjoy everything in total relaxation knowing you will be spending the night at Peterborough’s prime lodging choice, Jack Daniels Motor Inn. 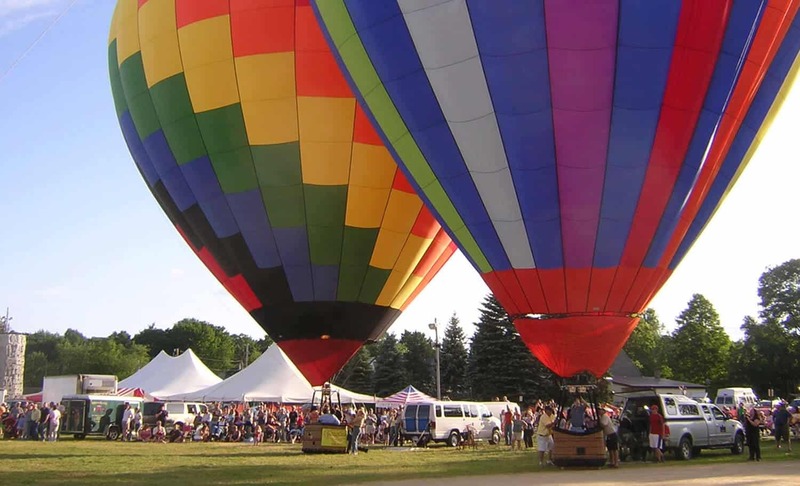 This package features a specially crafted gourmet picnic dinner made from the finest fresh and organic ingredients by Nature’s Green Grocer, two tickets to a Peterborough Players production and one night’s lodging at Jack Daniels Motor Inn. Or, choose a $60 Jack Daniels Dining Dollars voucher and dine at a local restaurant. Truly a quintessential summer experience in Peterborough, New Hampshire. Available June through September. Subject to ticket and room availability. You may book this package with Jack Daniels Motor Inn by phone or online. (Subject to room availability. Available November 1 through April 30 except for Thanksgiving and Christmas. Other restrictions may apply). Please call – Our staff will happily help you with your specific plans. 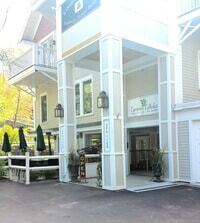 Discover the charm of Peterborough in the Heart of Southwest New Hampshire’s Monadnock Region! We will help you explore the area’s sugar houses, farms, and chocolate shops. Afterward, you will dine at one of Peterborough’s award-winning restaurants, and relax at the comfortable Jack Daniels Motor Inn all for $169 plus tax (double occupancy). Our Monadnock Maple and Mud Package includes one night’s lodging at the Jack Daniels Motor Inn, $60 Dining voucher redeemable at any of four local restaurants, a maple syrup sampler from Ben’s Sugar Shack, and a sampler from Peterborough’s Ava Marie Handmade Chocolates. Available any day of the week February 1 through April 30. Subject to availability. Call us for more information or Book Online. The Thing in the Spring is an annual music and arts festival that happens in downtown Peterborough NH, presented by the Glass Museum. The music encompasses many styles from free jazz to punk to folk to indie rock, with bands from as far away as Germany and California, as well as all over New England and New York. Broke: The Affordable Arts Fair is a multidisciplinary arts event that began in Peterborough, NH in 2008. The *broke philosophy is simple: art is for everybody. All *broke events are free to the public, and *broke vendors commit to presenting all of their products for less than $50. You can expect to see a wide array of artworks and wares. Some examples are: prints, collages, soft sculpture, wearables, and independent record releases. 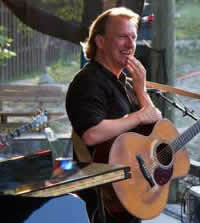 Enjoy music and art in Peterborough and stay with us at the Jack Daniels Motor Inn. Our Thing in the Spring Package includes two nights’ lodging at the Jack Daniels Inn (choose any 2 nights June 11-14) and two Weekend Passes to ALL shows for $348 +tax. Book multiple nights of this package to extend your fun and savings! Additional Crotched Mountain Anytime vouchers are available for purchase at the front desk. Available any day of the week December 1 through the end of the season. (December 24-25 excluded). Can not be combined with other discounts. Lodging is subject to 9% New Hampshire Room tax. One $25 Jack Daniels Dining voucher. Book multiple nights of the package to extend your fun and savings! Jack Daniels Dining Vouchers are redeemable at Del Rossi’s Trattoria, Harlow’s Pub, Waterhouse Restaurant, Cooper’s Hill Public House, Brady’s and Nonie’s. Available any day of the week December 1 through the end of the season, December 24-25 excluded. Can not be combined with other discounts. Lodging is subject to 9% New Hampshire Room tax. One of you loves to ski while the other prefers some pampering – have we got the combination for you! An overnight stay with one Anytime Pass at Crotched Mountain Ski & Ride and one 60-minute Spa Pampering package at European Esthetics. While one of you is enjoying the slopes, the other may choose three express spa treatments for an all-over calm. All for only $179 double occupancy. Spa services must be booked at least two weeks in advance. Additional spa treatments or ski passes may be added. Ski, ride or tube any three (Crotched Mountain Ski & Ride, Pats Peak, Granite Gorge, Mount Sunapee, Windblown), stay two nights at our double occupancy rate, and the third night is FREE! Pick a different ski area each day, or visit the same one all three days – you choose based on daily conditions and your preference! Purchase Adult/Junior Anytime Ski Passes to Crotched Mountain Ski & Ride and ask for 2 for 1 Granite Gorge passes for more savings! Available December 1 through the end of the season, (except for black out dates December 24-25 and Presidents Day week). Can not be combined with other discounts. Advance reservations and payment required – Please call us to book this package. SHOW your lift ticket and SAVE 10% off lodging. Simply show us your lift ticket or ski pass from any southern NH ski area – Crotched Mountain Ski & Ride, Pats Peak, Granite Gorge, Mount Sunapee, or Windblown Cross-Country – and we will apply a 10% discount to your lodging. Available December 1 through March 31. Call us for more information or Book Online. GRANITE GORGE SKI AREA DEALS! ASK us about 2-For-1 passes to GRANITE GORGE SKI AREA. Granite Gorge is the place to find downhill and cross country skiing; snowboarding terrain parks, snow tubing and snowshoeing. The whole family will have a blast! Our staff will happily help you with your specific plans. BUY your CROTCHED MOUNTAIN SKI & RIDE lift tickets at Jack Daniels Motor Inn and SAVE up to 30%. Adult/Junior Anytime ski pass $43.00. Available December 1 through April 15. 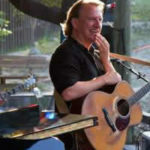 Your folk package includes: a one-night stay at Jack Daniels Motor Inn, two tickets to the Peterborough Folk Music show of your choice (November – April), a $25 Peterborough Dining Certificate and passes to the Mariposa Museum. All for only $159+tax, or upgrade to a Deluxe River View room for $174+tax. Double your fun with a two-night stay for only $229+tax ($259+tax Deluxe River View room). Our staff will happily help you with your specific plans. Subject to availability; Ticket portion of package is not refundable. STAY at Jack Daniels Motor Inn and PLAY 18 CHAMPIONSHIP HOLES OF GOLF at the stunning Shattuck Golf Club and for as low as $90 per person (double occupancy required). Great rates again this year! 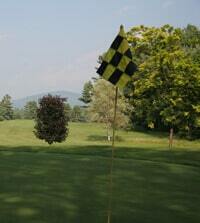 Enjoy the spectacular course at the Shattuck Golf Club within view of beautiful Mount Monadnock. Bring along your friends and family. 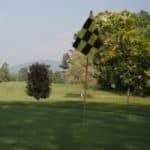 If they don’t play golf, maybe they’d like to experience an exhilarating hike and the wonderful ambiance of the entire Monadnock region. There are also many antique shops, a riverside park, art galleries and a variety of other shops and restaurants in nearby Peterborough. Our Shattuck Golf Stay and Play includes lodging at Jack Daniels Motor Inn and greens fees with cart for two golfers (double occupancy required). Upgrade to All Day Play for (includes lunch at the Mountain View Grille) for just $10. per person. Call the Shattuck at 603-532-4300 or check the Shattuck Golf Club online for tee times. *Subject to availability. Based on double occupancy, weekday (Sunday -Thursday night) stay and golf rates. Rates are for rooms with two Double Beds. Upgrade to King or Deluxe River-View King rooms at additional charge. Price shown above does not include any applicable taxes. Program subject to change or termination without notice. Adding a spa treatment to your stay complements any getaway. Choose from our packages for you and a friend or family member, or treat yourself to three 20-minute mini treatments for 60 minutes of self-pampering with any stay. Please remember that 2 weeks’ prior notice is requested for best availability of spa treatments. European Esthetics is open Tuesday – Saturday. Please call us to book a spa service. 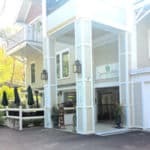 You and your friend will enjoy a Peterborough get-away-from-it-all with an overnight at Jack Daniels Motor Inn, a special BFF Spa Treatment Package at European Esthetics and $30 Jack Daniels Dining Dollars to use at one of several restaurants about town. Spa special for two includes a European Facial Treatment, One-hour Full Body Massage and a Spa Pedicure. All this pampering for only $475 double occupancy. Spa services must be booked at least two weeks in advance. Package includes a special bonus gift. Let your mother or daughter know how much you care for their well-being with this pampering package: an overnight at Jack Daniels Motor Inn and this special Mom & Me treatment package for two at European Esthetics: Mini Facial, Express Pedicure, Express Manicure. This special opportunity is only $289 double occupancy. Spa services must be booked at least two weeks in advance. Package includes a special bonus gift. Want to bring three generations? Additional spa packages may be added to this package.